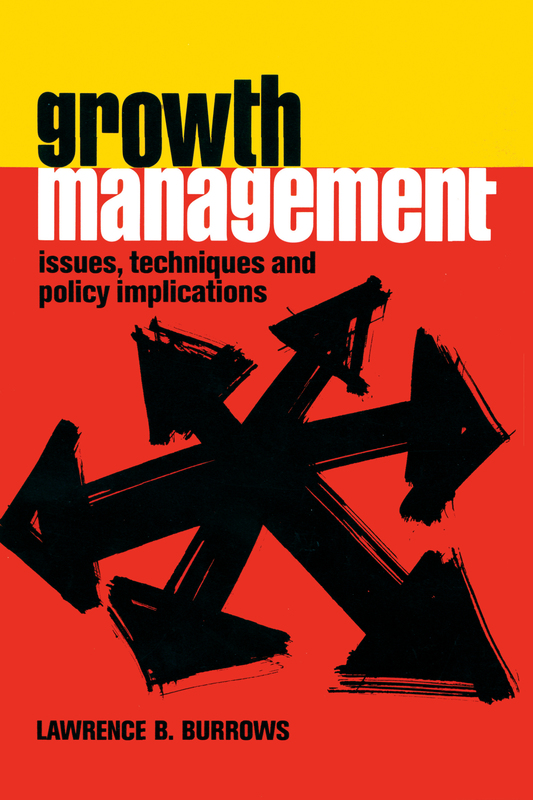 Thoroughly discusses the experiences of traditional approaches to growth management, including public acquisition of open space, zoning, interim development controls, and division techniques. The author then offers more sophisticated second-generation techniques for controlling suburban growth without stifling it. Included are discussions of urban service areas, cap rates, annual permit limitations, adequate public facilities programming, and legal considerations. The book concludes with a conceptual model for success in the future. Ideal for undergraduate or graduate survey text.There are specific topics which, in microcosm, bring together many of the strands of a whole society. The pressures at work in responding to the problems involved in these topics both in implementing and retarding their resolution, provide a unique insight into the strains of our time. In many ways, the subject of growth controls is a prime exemplar of this species. Grouped under this rubric are all the environmental concerns which are increasingly prominent: the natural limits of land-holding capacity, the trade-offs between intensive land use, and the physical limitations of earth and space. But these elements, while far from being defined, are much more finite than the particulars at the other end of the spectrum that of the character and individual substance and way of life, which revolve around the level of intensity of land use. For example, as we near the end of the twentieth century, an increasing demand is heard for a return to the simpler, more bucolic environment. Just as the suburb replaced the city as the prime location so the suburb in turn finds it very difficult to compete against the lures of the countryside. The drive towards exurbia, and with is greater levels of decentralization, and with it greater levels of decentralization becomes a dominant theme, at least for the affluent. All these and many other elements are at work within the simple title of Growth Management.